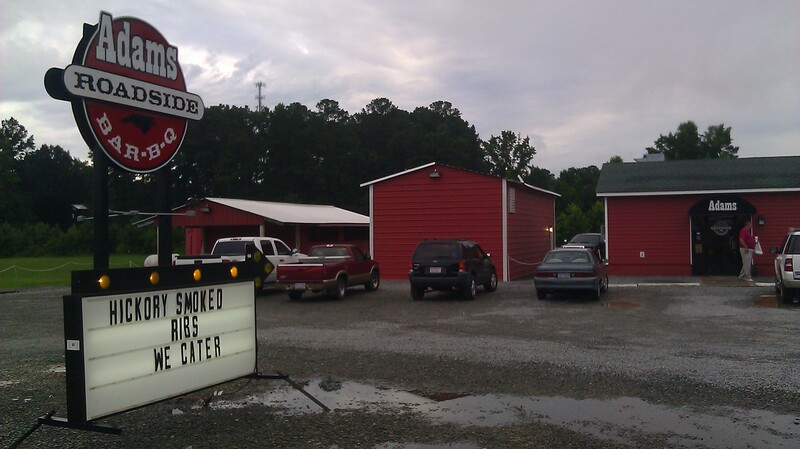 Late last year Carl Eugene McBride, Jr. provided me with a re-revised history of barbecue in Goldsboro, NC. Alas, I managed to bury his email in my inbox and just came across it again recently. With apologies for the delay, here is Mr. McBride, Jr.’s new and improved essay. As I said when I posted the original version, this document ought to be required reading for public school students in Wayne County! Wilber Shirley’s place in Goldsboro–the simply named Wilber’s Barbecue–is among the living legends of North Carolina barbecue joints. It is also among the state’s best-known restaurants period, given its long history and prominent location fronting Highway 70 on the way to the beach (at least for those of us that still take routes other than Interstate 40 to the coast from time to time). Hear from Mr. Shirley himself and get a behind the scenes tour of his wonderful restaurant in this nicely done segment from Time Warner Cable’s Around Carolina program. Oh, and if you want to see another perspective on Goldsboro, you can watch this video instead. 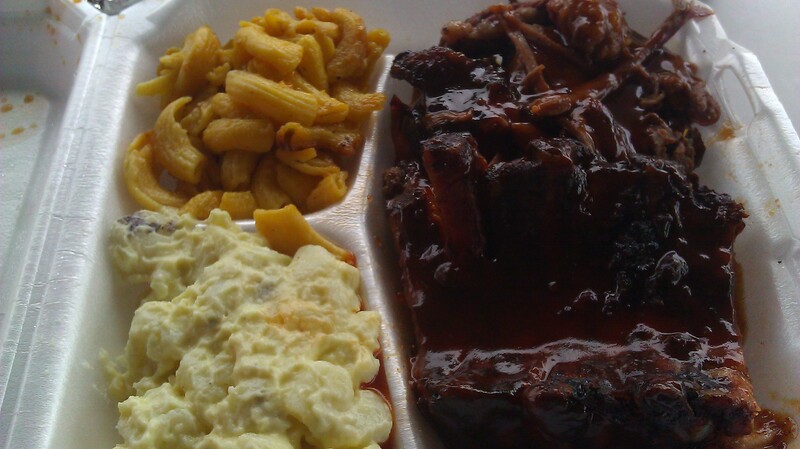 April marks the beginning of the barbecue festival season, which runs through October. The first event of the season was in Newport last weekend, but you have a chance to make it to the 2nd one THIS weekend. Drive on over to Goldsboro for Pig in the Park. The event features live music and other fun on Friday night, and then the serious business of a cooking competition on Saturday. Plates are available for sale to the general public early afternoon on Saturday, and there will be more live music, vendors and other good times. The festivities take place in downtown Goldsboro, an area that has a lot of history and an impressive collection of historic homes, storefronts and train depot (now under renovation). Goldsboro has put a lot of effort into revitalizing its downtown, so show ’em some love and pay them a visit. Plus, once you sample some Pig in the Park ‘cue you can have a 2nd meal at Wilbur’s or Grady’s or any number of other joints not too far away.